Executive Summary: Can Shared Mobility Help Low-Income People Access Opportunity? Shared-mobility programs like bike-share and car-share have significant potential to benefit low-income users, yet often do not reach that population. This report explores the specific opportunities and challenges facing shared mobility programs in expanding services to low-income communities. 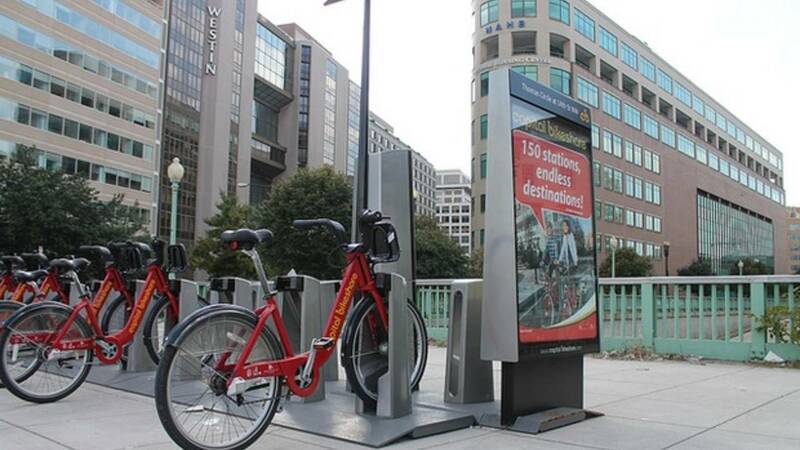 In the last decade, shared mobility services such as bike-share, car-share and ride-share have taken off across the United States as a complement to local public transit and an alternative to private car ownership. As these models have developed, many have explored how the emerging field can more directly benefit low-income individuals, who often face longer and more costly travel times. However, current usage of shared mobility systems among low-income communities remains lower than usage by the general population overall. This report is a survey of existing shared mobility strategies and their attempt to expand services to low-income individuals. It is our hope that the findings can inform operators, government agencies, funders, non-profit organizations and others as they try to tap into the potential of shared mobility strategies to improve the lives of low-income individuals. 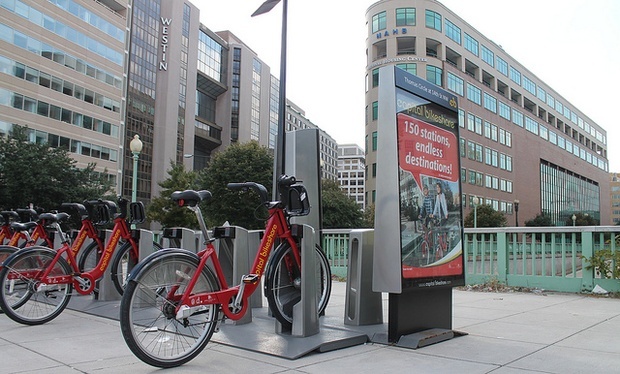 A Capital Bike Share Stop in Washington, D.C. This resource is the Executive Summary of a longer report and is intended to highlight the specific findings and recommendations that resulted from the research. The full paper contains more detailed information on shared mobility typologies, the specific barriers that challenge low-income usage of shared mobility, and the strategies currently being tested to address them. Different shared mobility types address different trip needs. Shared mobility is best used as a complement to local mass transit. There is no silver bullet for solving the transportation needs of low-income communities through shared mobility. Core strategies for improving access to shared mobility are similar across shared mobility system types. The market for shared mobility transportation is nascent and developing. The government has multiple levers of influence and can play multiple roles in bringing shared mobility services to low-income communities. Intermediaries have the opportunity to connect users to new opportunities within the shared mobility space. Launch pilot projects based on research of the actual transportation needs faced by low-income communities. Research shared mobility business models, especially those with cross-sector partnerships, to understand how best to reach low-income communities. Incorporate shared mobility into long term transportation planning. Focus on comprehensive, collaborative approaches to reducing barriers. Cultivate intermediaries to increase demand for services by addressing barriers. Resource Document: Can Shared Mobility Help Low-Income People Access Opportunity? Resource Document: Case Studies: Can Shared Mobility Help Low-Income People Access Opportunity? Image source: DDOT DC Flickr account.